An Illinois construction company brought non-English speaking workers to the U.S. and knowingly exposed them to asbestos, according to OSHA. Now two companies face almost $2 million in fines. OSHA says Kehrer Brothers Construction willfully exposed at least eight workers to asbestos by telling them to remove materials during renovation of a former school. The company faces $1.792 million in penalties. A Kehrer-affiliated company, D7 Roofing, which employed some of the workers, was also fined $147,000. failure to use appropriate work methods for asbestos removal (willful, $70,000). 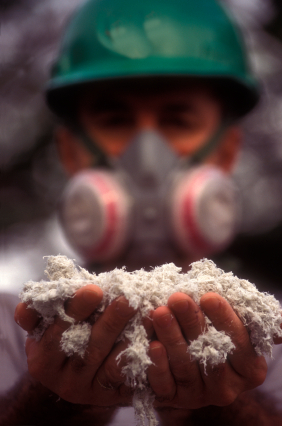 use appropriate work methods to minimize asbestos exposure, such as removing tiles intact and using wet methods to keep asbestos fibers from becoming airborne. Kehrer Bros. is now in OSHA’s Severe Violator Enforcement Program. Many of the workers came to the U.S. to work for Kehrer under the provisions of the H2B visa program that allows companies to hire foreign workers temporarily. OSHA referred the case to the EPA and the U.S. Small Business Administration. Kehrer Bros. has been inspected 11 times by OSHA since 2007. The companies have 15 business days from receipt of their citations to accept the findings, ask for informal talks with OSHA or contest the penalties to the Occupational Safety and Health Review Commission.